Despite their size, the largest species of crocodile can remain easily hidden beneath the murky water's surface. But in a heartbeat, the saltwater crocodile can make quite a splash above the surface, as photographer Trevor Frost showed in an Instagram post on Friday. 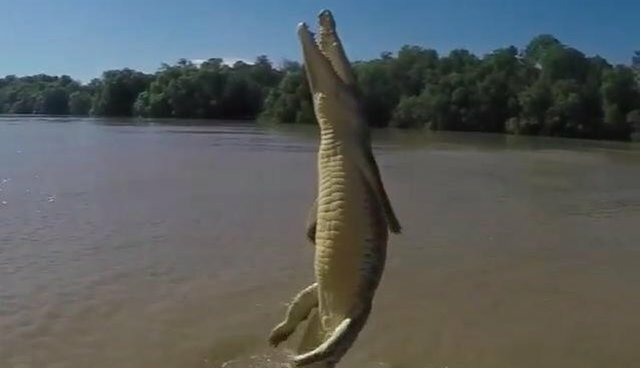 While on assignment in Northern Australia for National Geographic, Frost used a slow motion camera to capture the crocodile's impressively fast movement. The crocodile's head, stomach and rear legs all work together in one wavelike motion to exit the water and soar into the open air. The only body part that remains partially submerged is the crocodile's tail, which splashes at the water to propel the rest of his massive body upward. On average, saltwater crocodiles are 1000 pounds and 17 feet long, though it is not uncommon for some to be as long as 23 feet. "50 years ago, there were almost no crocodiles in Northern Australia," Frost said in a National Geographic YouTube video. "Now, everywhere you go, there are crocodiles. There are crocodiles in every bill bong, crocodiles in every creek, crocodiles in every river." 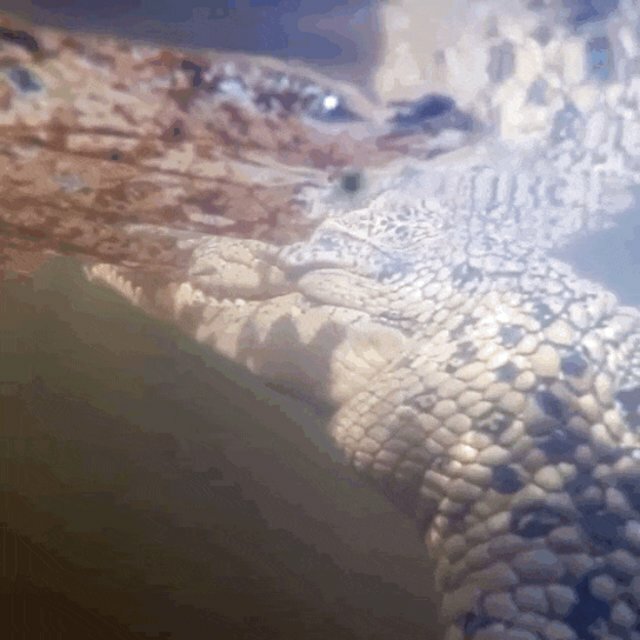 Frost's assignment for National Geographic was to capture the first ever video footage of a crocodile attack from inside the crocodile's mouth. Over the course of a month, he and his team successfully filmed eight attacks. Though the camera was situated far away from the crocodile's mouth, this attack still captures the awe-inspiring movement. 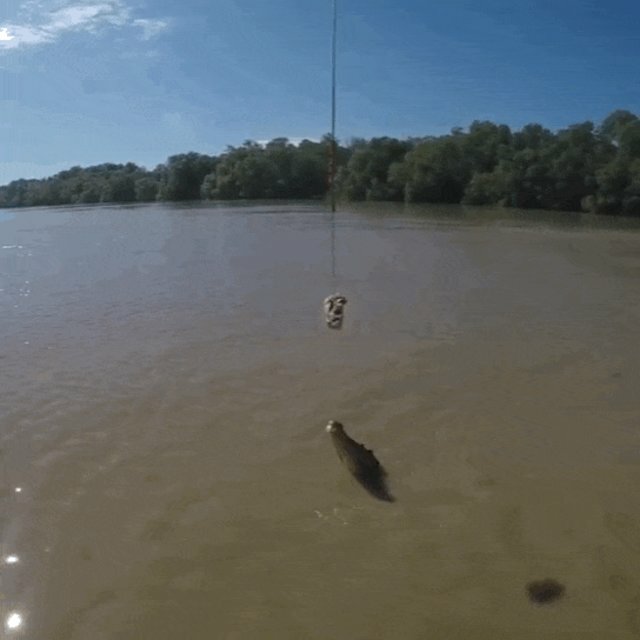 The crocodile may have left feeling a bit tricked by the bait, but it doesn't make him any less of a skilled hunter. His agility and strength make him one of the most spectacular predators on Earth. Below are a few more posts from Frosts' Instagram.